Do u know that 212 billion business emails are being sent/received everyday ? Even your email has a tone ? Writing less is more effective than writing more in Business ? Your e-mail style is a direct reflection of your professional reputation ? Should you include a salutation or just get right to the point? Are emotions OK in professional e-mails? 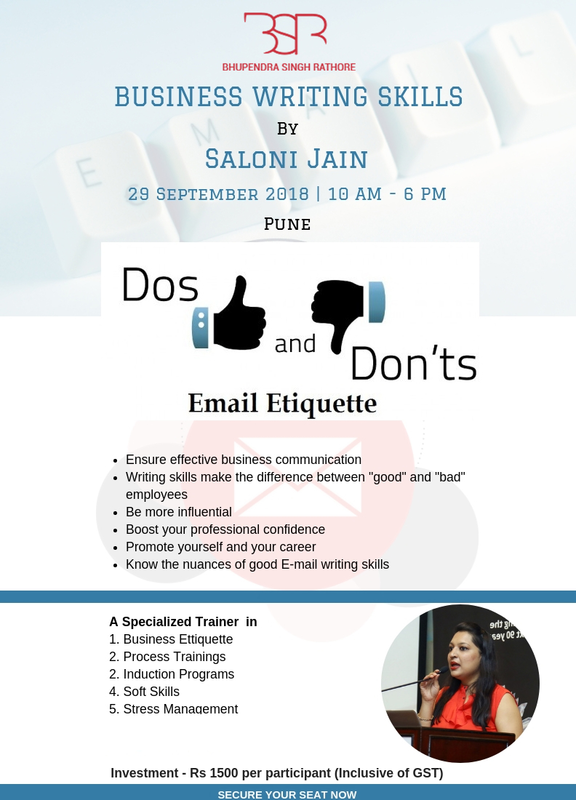 Understand and learn the skill of professional email writing. E-mail writing is the quickest means to reach to a large audience in the shortest span of time. Sharpening your email writing skills is directly proportional to improving your business further.